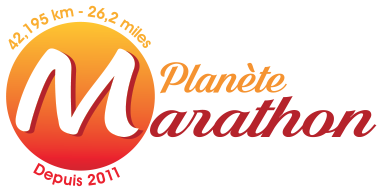 Commentaire : plusieurs marathons et séries de marathons tout au long de l'année. 19/12/2017 1 3:26:14 Nowoielski Jerzy Unaffiliated ? 19/12/2017 2 3:28:05 Sutherland Paul MMKAC ? 19/12/2017 3 3:29:41 Staples Simon FERC ? 19/12/2017 4 3:33:54 Gordon Steve Unaffiliated ? 21/12/2017 1 3:19:25 Taylor Stephen East Hull Harriers ? 21/12/2017 2 3:26:14 Edwards Steve NCTR ? 21/12/2017 3 3:27:22 Sutherland Paul MMKAC ? 21/12/2017 5 3:37:43 Bowe Tony Northbrook AC ? 24/12/2017 1 3:03:50 Mawer Thomas East Hull Harriers ? 24/12/2017 2 3:21:57 Coulter Darryl Kent AC ? 24/12/2017 3 3:24:53 Sutherland Paul MMKAC ? 24/12/2017 4 3:28:07 Edwards Steve NCTR ? 24/12/2017 5 3:30:32 Dunham Stephen Redway Runners ?